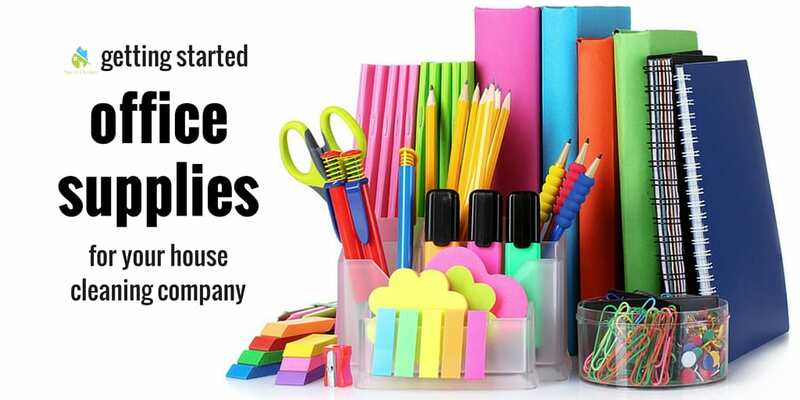 There are several ways we will be marketing your new house cleaning company, but on day one – when you don’t have any business yet, we will be running flyers to announce your new business. For these flyers you will need a ream (500 sheets) of colored paper. Pick a color, any light color will work. If the paper is too dark, you will not be able to read what you’ve printed. A light pastel is always a good choice. 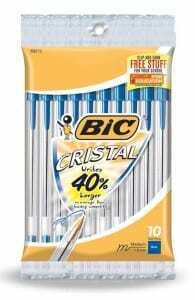 You can buy this at OfficeMax, Office Depot or Staples. 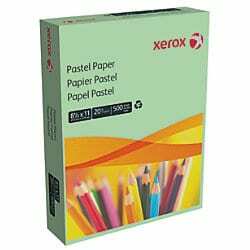 Reams of colored paper range from $10 to $15 dollars. For your start up flyer we’ll print two flyers per page and this will save paper and printing costs. If you have a printer, inkjet or laser, make sure the paper you buy is compatible with the printer. Usually something like the paper shown will work in either, but ask a store assistant if you’re not sure. If you are buying a new printer – choose a laser, it will keep the ink from bleeding on a printed page if the page gets wet. 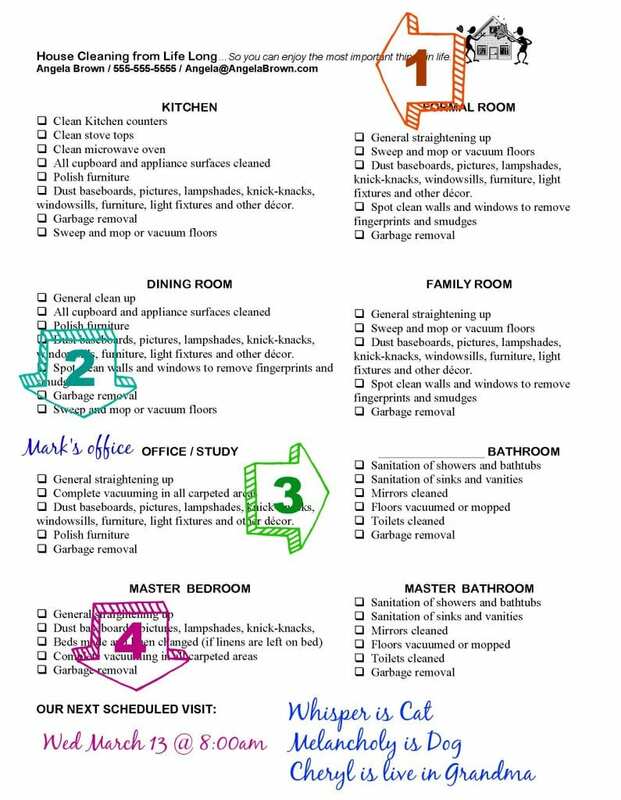 If you are good at cleaning, and you work the referral system you will only be running flyers once. So this is a fixed one time cost. If you run flyers to the same neighborhood a second time, use a different color of paper for your flyers. This way you can ask the customer which color of flyer they are calling from and you will know if it is one they received months ago or if it is the current one you just delivered. Sometimes people need a second or third impression in advertising from you before responding. 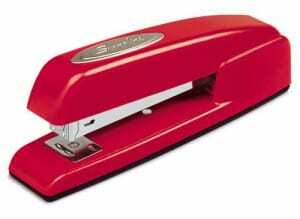 You will be stapling your worksheets so I recommend buying (if you don’t already have one) a stapler. It doesn’t have to be fancy, and it doesn’t have to be red, it just has to staple. You’ll need a pack of cheap Bic pens. You will carry one of these with you to every house to fill out your worksheets. 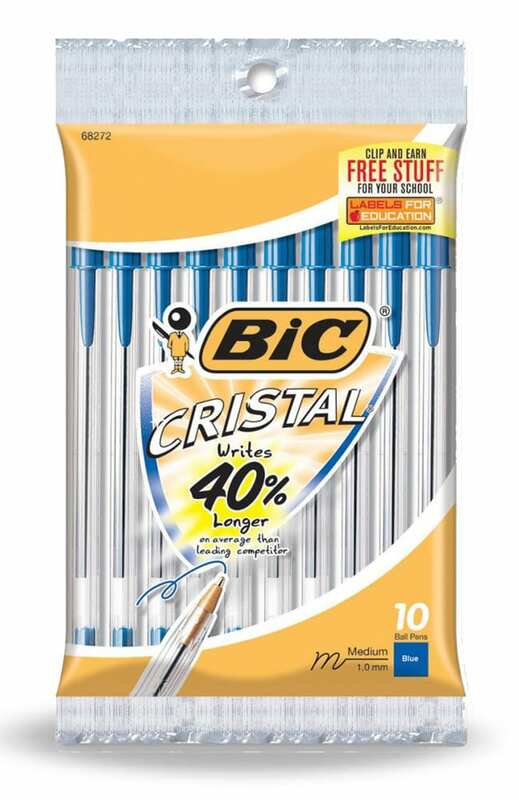 You can usually get a pack of ten pens for a buck or two. While you are at the office store, be sure to pick up some fingertip moistener. It will come in handy when you are running flyers. And it costs a buck or two. If you already own a paper cutter use it to cut your flyers in half. (You’ll be printing 2 flyers per page.) 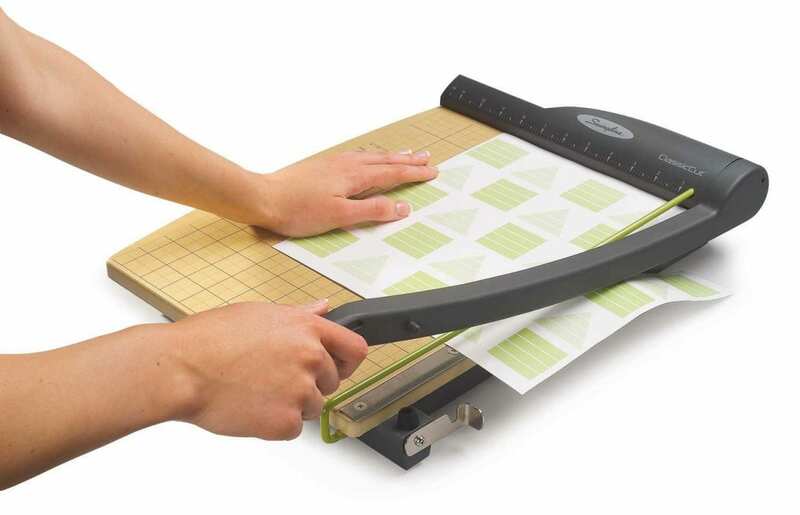 If you don’t have a paper cutter, you can borrow one from a friend or your church, or you can use scissors. Paper cutters range from $15 to $300 so don’t go crazy and buy one just for your one time flyer creation. It does make the job easier – but it’s optional. If you don’t own a computer or printer — check out BestBuy, Amazon, Staples, or OfficeMax / Office Depot. You can get a really great late model laptop for $249. Your computer doesn’t need to be a high end computer with lots of ram and sound options. Just a basic computer that will allow you to do online learning, connect to the internet and print. The printer you use for your house cleaning company doesn’t have to be a color printer either, although you will see those options in the office stores. 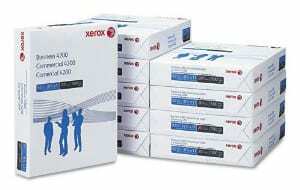 The bulk of your printing will be black and white – and buying a simple printer will save you on the back end from expensive color printer ink cartridges. 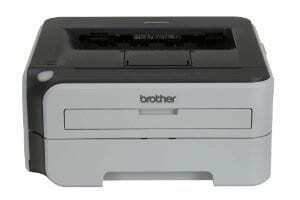 You can buy a really great black and white laser printer for $100 or less. Work sheets are multi-purpose, and are the life-blood of your marketing efforts. With the worksheet you will close your original sale with a client. and your biggest referral tool. This is an ongoing expense and for this I recommend using plain white paper. To get started, you will need a ream of 500 sheets of white paper (20lb paper, bright white is good) sold individually for $3 to $6 and you can buy paper anywhere. Walmart, Costco, Target, Office Depot, OfficeMax, Staples etc. You can buy a case of white paper $20-$40 and save money. A case usually includes 10 reams of paper. 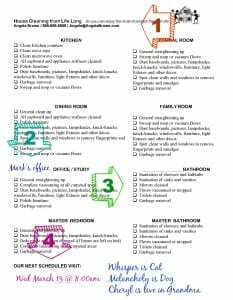 There is an entire chapter on Worksheets – the importance and ease of how to use them, along with a bonus worksheet you can download absolutely free and edit to use as your own in the Free Ebook: How to Start Your Own House Cleaning Company by Angela Brown (Download here). 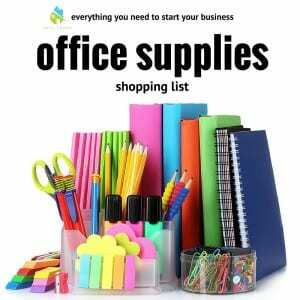 It is assumed that you have a computer, and a printer, and if you do, all of the office supplies you need to start your own house cleaning business should be under $20. 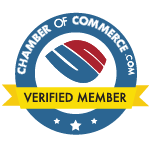 These are purchases you will make day one of your business. That’s it! If you are really shoe-stringing it – borrow a computer and printer from family or friend until week two when you have money coming in and can buy your own. 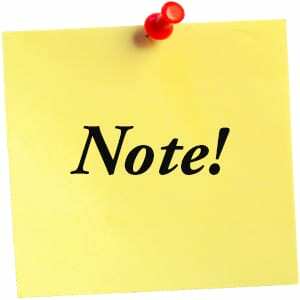 (It is a good idea to bring your own paper and offer to pay for the printer cartridge you will use for printing your flyers and worksheets. 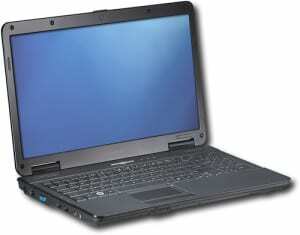 And if you don’t have family or friends who will loan you a computer – you can go to the public library where they offer computers for you to use free of charge. Take a flash drive with you so you can bring your flyer and worksheets with you. Edit them and print out a master copy. Then you can go to the office store, Staples or Office Depot, and use their printing service to make copies. Make sure you ask an assistant for help if you are not familiar with how their copy machines work. Some have color cartridges and cost 3 or 4 times the price of a single black and white copy. Paying for copy services is another reason we have two flyers per page – so it saves on paper and printing costs. Also save your receipts from purchases of a computer, printer, paper, and other office supplies. Now that you are starting your own house cleaning company, you will itemize your expense on your taxes for a tax refund.